Horror films love using children to freak you out, and it's easy to see why. You're lulled into a false sense of security then BAM it's all creepy singing and climbing out of televisions and turning into monsters right before your very eyes. Here are all the horror films with kids to make you go NOPE. The Sixth Sense follows the story of a little boy who can see ghosts and the psychiatrist who tries to help him. That girl throwing up and the boy with a head gunshot wound though… excuse us while we hide under our duvets for forever and ever. 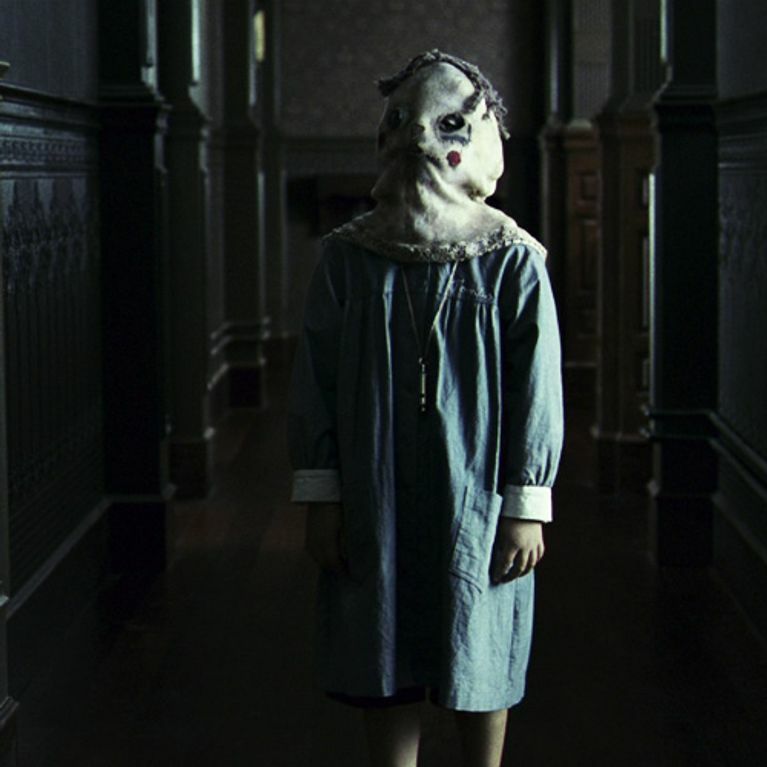 A little girl is possessed by a demon, crawls backwards down the stairs and loops her head round 360 degrees like an owl. A horrifying, revolting owl who will forever haunt our dreams. If you watch this videotape, you’ll die in seven days…by an utterly terrifying little girl who crawls out of the TV and is like, insanely double-jointed. A woman moves into a haunted Orphanage with her child, who begins to see ghosts of dead children, one of which appears wearing a sack of his head. Children are creepy enough. Mask wearing children are a whole other level. Alien controlled white-eyed children try to destroy mankind. BEWARE THE STARE THAT THREATENS ALL OF MANKIND! Oh look, sweet little children playing tea parties! Isn’t that cu-OMG WHAT ARE YOU DOING GET AWAY FROM THAT WINDOW! This movie where an embittered spirit kills a child every time she is seen stars many of crazy, terrifying children trying to kill themselves. These twins are not okay. Nothing about this is okay. A family’s youngest daughter is abducted by the dark spirits in their home. Honestly there’s nothing spookier than a jovial child’s keyboard playing itself. And clowns. Did we mention there were clowns? Nope nope and all of the nopes. Bad things happen when you accidentally adopt the antichrist. Damn it Damien they just wanted to love you. Are you a fan of horror flicks? Tweet us @sofeminineUK!